The mountains are alive inside and out of this beautiful mountain home. Inside enjoy colorful, creative furnishings and finishes that compliment and resound the beauty on the other side of the door. Outside enjoy a large yard with plenty of running room for kids of all ages. Ample decks and porches provide surround seats for the sights and sounds of nature. Every season holds a reason to enjoy Bear’s Lair. 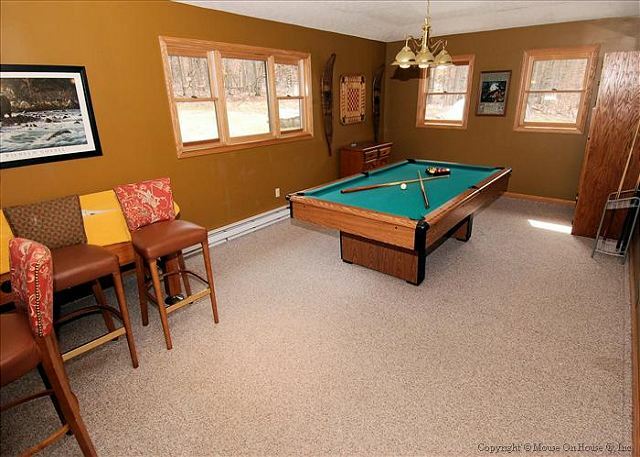 Inside enjoy a wood-burning fireplace, pool table, WIFI and multiple TV’s. Outside show off your grill skills, take time to star gaze and enjoy the outside hot tub. Well behaved dogs are welcome to vacation at Bear’s Lair too! 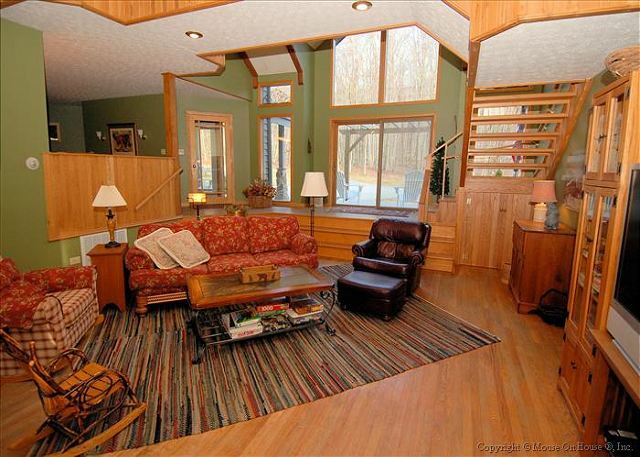 **WARNING: Staying at Bear's Lair may create addictive mountain vacation behavior. You will definitely feel like you need to come back again and again!! We had a great time, it was simple to rent - the Best of Canaan was super sweet to work with. What information the rental agreement didn't provide they were able to answer before we even showed up. The house itself just needs a lil love and care, we fear in a few years it may not be there. There was quite a bit of rot on the outside from the weather and the flooring in the kitchen has seen better days. The house just wasn't meant for "commercial use" and it shows. The older hot tub was a welcomed treat. It as also not necessarily meant for smaller children - as the heating units in the bedrooms are quite old and hot to the touch. Overall it is a beautiful house, we will definitely stay again! Wonderful escape from holiday craziness! This home was the perfect getaway for our family. 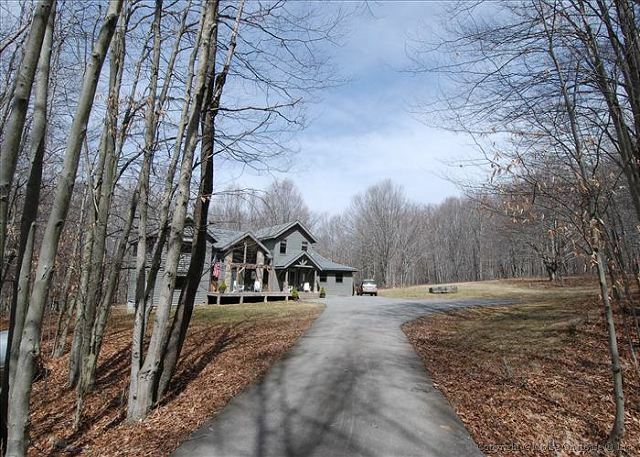 It's set on a totally private lot just a short walk from GORGEOUS walking trails. Snowboarding was right down the road and we found great restaurants in nearby Davis. The hot tub appeared new and we got to enjoy it in the snow! The home had everything you need, although my only recommendation would be to bring your own pillow. House was laid out with plenty of room for all of us. The house could use an update, walls painted, floors were worn. But overall furniture was comfortable. Kitchen drawers were dirty. We had a mouse visitor everyday in the kitchen and laundry room. But we liked the location and privacy of the home. We would rent it again. We has enjoyed Bears Lair the past eleven years and have loads of pleasant memories. Our family's growth and the minimal attention to maintenance has us changing to another property for next year's gathering. We will miss its great location and the beautiful property surrounding Bears Lair. Very pretty setting; could have been cleaner; looked like it wasn't vacuumed; the mattresses were very hard....But it was a really nice place, well decorated for the mountains and the stay was enjoyable. Loved the house and yard! Visited as a group of 8 adults, plenty of space for everyone and lots to do. The house has a great layout and the yard was beautiful. It was a very relaxing place to spend the weekend, and everyone had a wonderful time. We plan to come back again. Home very large and roomy. Could have used air conditioning due to high heat and humidity. Light switches could have been labeled, hard to figurehead worked what light. Did see carpenter ants unlink in living room. Ronald C from Bear, DE does not recommend this vacation rental. We had a wonderful time in Canaan Valley! We hiked, visited local attractions & the kids caught fish on Dry Fork! They said it was the BEST vacation Ever! The bed on 2nd floor was broken & the slats kept falling out at night. House had lots of cobwebs, dead bugs & smelled pretty bad. Nothing a broom & fabreeze stick ups & spray couldn’t help. We loved the location but the house needs a good cleaning. We would stay again because the lot was great for running children! we rent it for memorial weekend and his house was perfect for us. We were 3 couples with teenagers and the house was perfect for everybody!! I really recommend it. Place was Great,close to guard station and lake, big open bedrooms with space. House was nice and enjoyed the area. We loved the house, it was great bringing all 3 labs. Enjoyed the hot tub and the pool table. Just a few recommendations. Microwave wasn’t working, hot water lasted for 5 minutes for showers. Oh, and needs a pizza cutter.😊. We plan on returning next year as well! Really nice home.. Loved the fireplace and that there was plenty of wood. Liked the master bedroom was on first level. Didn't care for the pool room having a big step as I fell right after getting there and pretty much ruined the vacation for the week. 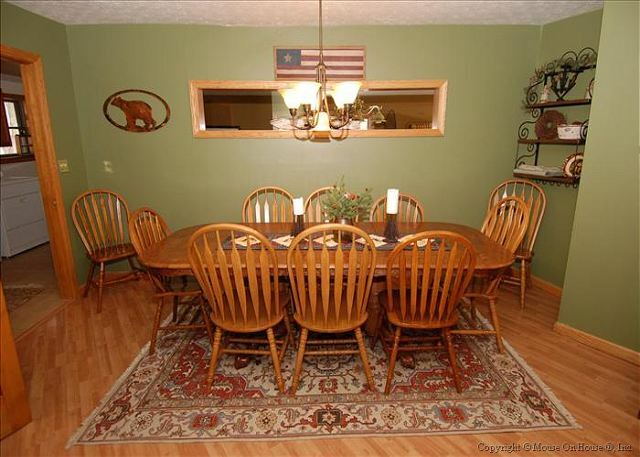 Over all very nice place and in good condition very clean. Perfect house. Perfect location. Everything we could ask for and more. This was a perfect house for our annual getaway with friends. Great layout with two master suites and a nice large dining area. Fireplace and living room were perfect for relaxing. A few spots show a little wear but we’d happily go back again! It was a great stay..very cool house. Lots of room to come together but also lots if privacy. Would definitely come again. No AC so summer nay not be best. Had a wonderful time! Got to go up to Dolly Sods it was the most beautiful views the colors were great. The house had everything you would want! WE have been coming to Canaan West Va for about 20 years and have stayed at this house four times. This is by far one of the nicest homes we stay at. 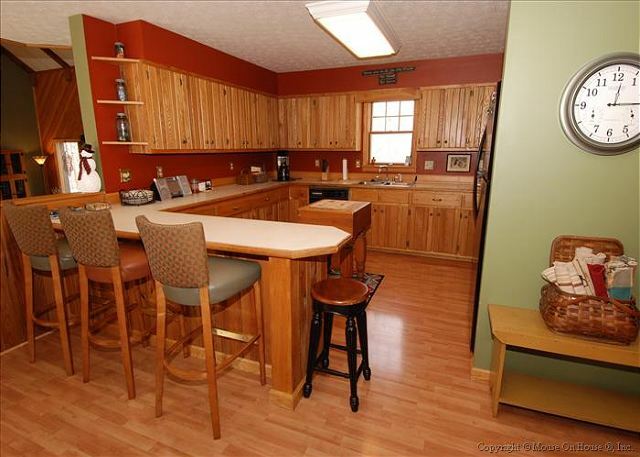 The property description is accurate regarding the location, layout and amenities. The property was clean and well maintained. The owner is so very nice and made our stay even better and the Donna at Best of Canaan was very nice and provided great customer service. 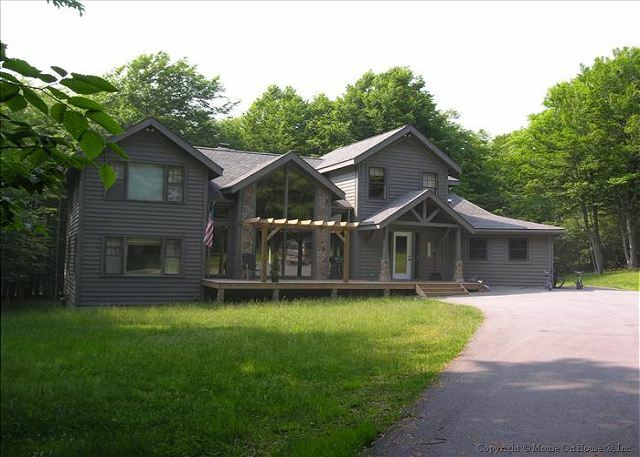 I would recommend this property to a friend or relative matter of fact I already did We enjoyed hiking Dolly Sods, Blackwater Falls and so many of the other places. Also got some biking in. The Grandchildren loved Big Johns arcade and the state park watching the deer and just relaxing in the hot tub at the house. We enjoyed the new restaurant Wicked their food was really good and the service was super . After the kid puking in the car, and a tire going flat on the mountain up; we arrived at the realty company without further incident. The staff was wonderful and gave us brochures and recommendations of things to do around town. We didnt need to, but felt like we could call for anything. Regardless of how major or minor our question/problem would be. We arrived at the bears lair and were greeted by a family of deer. That set the scene for the rest of the vacation. We got away from the hustle and bustle of the city and escaped to this beautiful home. Two families, kids range from 10 to 10 months all had something to do and no one felt on top of each other. We really did not need to leave the community (minus a grocery run, and sight seeing). This house had the best lot in the community. 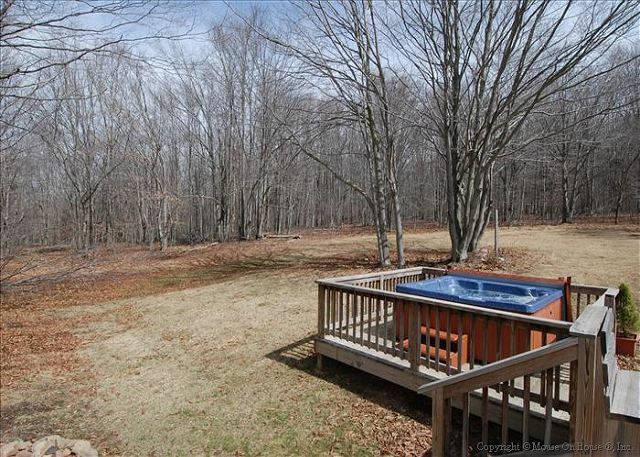 A dry creek bed, a yard (with the best grass for kids to crawl), hot tub for the adults, and a game room away from the bedrooms, stars,a canoe down the road, etc. It was a much needed escape from society, a place to rejuvenate and spend time with the family. I know most people go for the skiing, but tje summertime is just as wonderful. The house is beautiful we loved the layout and all the large windows. Such a beautiful piece of property and home. We will definitely be back. We rented bears lair for five nights for our annual Canaan Valley New Year's week trip . We have been renting homes in that area including timberline for the past 10 years. We can honestly say this is the best one we have rented that is dog friendly. We had two families total of eight people and the set up is perfect to allow privacy for everyone but also lots of very nice communal space for playing games sitting in front of the massive stone fireplace or playing pool . The hot tub was perfectly functioning and clean. The yard is beautiful. We had warmer than usual weather for January but the kids had a great time playing in the creek that passes through the property and building forts in the woods. There's amazing hiking and biking trails right out the door including around the two lakes or up into the mountains on timberline roads . We look forward to returning to Bears layer on a more typical snowy week since skiing is literally right through the guard gate less than a mile away. We also love the fact that Bear's Lair is very accessible and does not require going uphill on the mountain roads which can be pretty treacherous in timberline when it's really snowy . 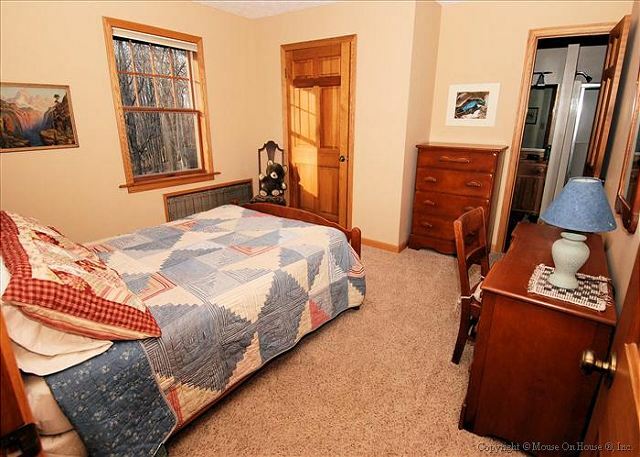 Another added bonus of this home is there are two huge Master bedrooms which is great if you have two families since neither of the adults have to compromise. - the owner should have notified me that there was no air conditioning. We only found out when we got there. I contacted the owner and she placed the blame on me of being confused, which was off-putting. - the outside fire pit is placed under a few low-hanging branches and I would suggest to have them cut back. - The back door was unlocked upon our arrival, and would not lock or unlock properly during our stay. Other than those few kinks we really enjoyed our stay! Thank you! We had a wonderful vacation! The location was beautiful and we really enjoyed staying there! The house is great (could have been a little more clean- entry way smelled like wet dog/ dead bugs in light fixtures) but not a big deal. Our only real complaint was that some of the vents were loose and had screws loose and broken outlets, which was a real safety cocern for us since we had 4 children under the age of 2. Every thing was as described in the website. Highly recommended. This home is lovely and in a wonderful location. There are so many great things about staying here, you will not be disappointed. On the negative side, the house was not thoroughly cleaned. There was trash left in some places in and around the house, but we took care of that without much difficulty. The furniture was a little dated, which wasn't a huge deal but a slight negative. The plates and silverware were very mix and match, but I guess that's fine for vacation living. Our biggest concern was the 10am checkout time. We felt that was excessively early for checkout. We ended up booking an extra day so that we wouldn't have to leave first thing in the morning, but that certainly increased our cost beyond what we felt was a good value. On the positive side, this is a great house. Although dated, the furniture (including sofas and beds) was very comfortable. The towels seemed new and in great condition. The hot tub was fantastic. The pool table was great fun, and in a separate area. The TV was very good, so we could watch some sports during our get away. The fire pit was tons of fun, and there was plenty of fire wood available. The area is amazing, with plenty of hiking. We didn't use the canoes, but they were clearly easy to access. And the stars... just amazing to be out on a clear night. All in all, this is a great place, and I will give an overall four stars to my review. Hope this review helps you. Happy travels!